2 Louise Lester Famous Sayings, Quotes and Quotation. 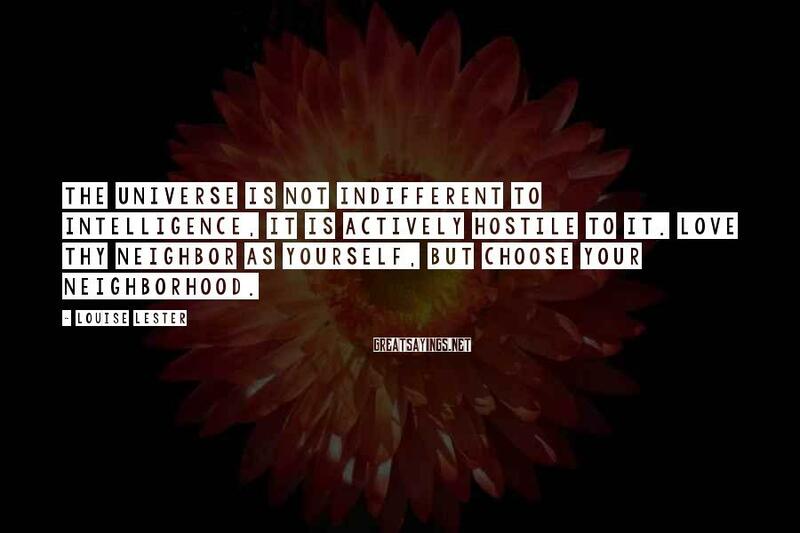 The universe is not indifferent to intelligence, it is actively hostile to it. 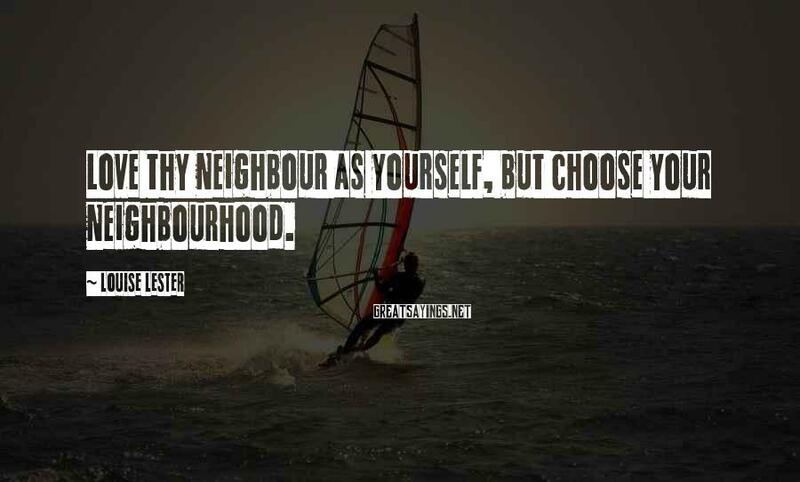 Love thy neighbor as yourself, but choose your neighborhood.